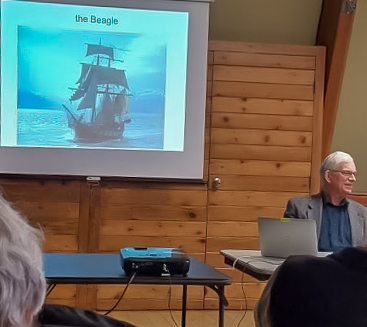 Barrie Webster & Robert Light gave a very lively presentation on Charles Darwin’s on 10 February 2019. We had a full room. Looking forward to the next event. What sort of a person was Charles Darwin? How did he come to be the Naturalist on the HMS Beagle? At what stage of his life did he do the Voyage?